Suites on the Maharajas Express are luxurious in the extreme. Each suite is spread over 220 square feet of rich carpeting. The suites are named after precious stones such as Heera and Neelam. 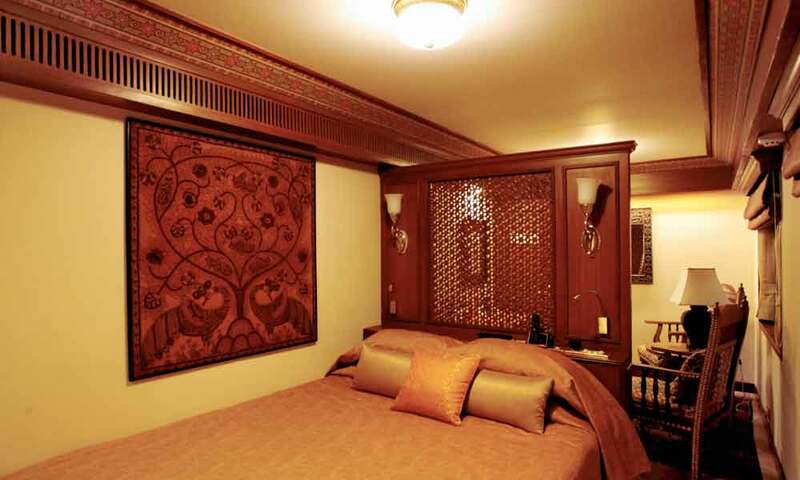 There are four suites on the Maharajas Express and they are all double bedded. The suites are equipped with a mini bar and the large attached bath and toilet also has a bath tub with hot and cold running water.